We are a driver training school with certified and professional Driving Instructors and our training facility is State Approved and DPS Certified. We are locally owned and operated in Schertz, Texas. Our mission is to continue being the #1 leader in Driver Education in the state of Texas by teaching safe driving practices, keeping an attentive ear for customer needs and demonstrating a strong commitment to integrating safe driving with federal government and state driving rules, policies and regulations. We at Alamo Driving School prepare our students with the know-how to become Defensive Drivers. We understand the request of our customers to have their loved ones “properly” trained. We teach our students the most current fundamentals and techniques to operate an automobile on our streets and highways. Here’s the good part about what we do; We give our students more in value for driver training than what is paid in price!! DriveID is a technology that defends drivers against the distraction of email, texting, unauthorized phone and other mobile device distraction when vehicles are moving. 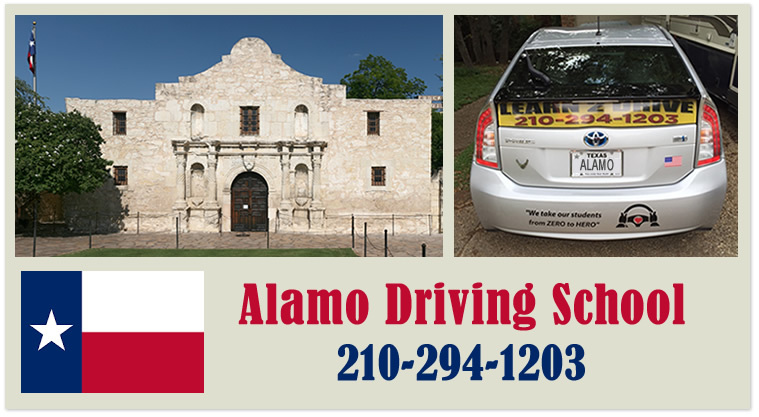 Alamo Driving School is the authorized Cellcontrol dealer for the state of Texas Come and get your loves their co-pilot for LIFE at Alamo Driving School. Call us today at 210-294-1203! Copyright © 2016 Alamo Driving School. All Rights Reserved.